While Jamaal is always willing to help others in different departments, if he could trade places with someone, it would be none other than “Mr. 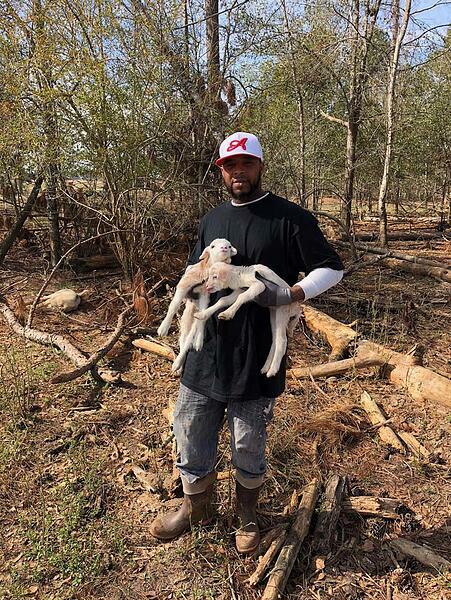 Will, because I wanna learn more about the business and the things he is trying to accomplish.” Jamaal’s manager, Mark Harrison, shared, “Being new to White Oak Pastures was a bit overwhelming in the beginning. 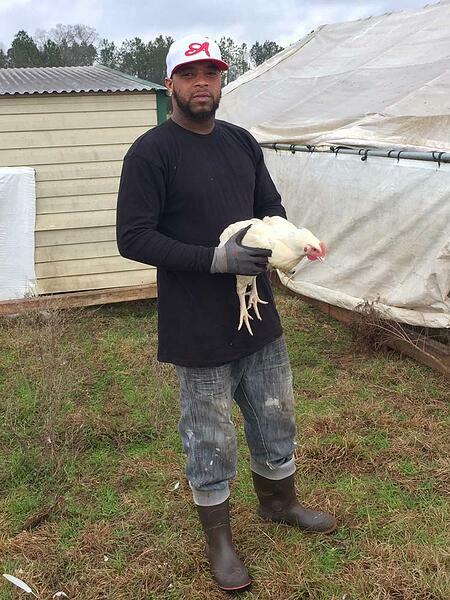 Jamaal’s immediate support and positive attitude made my transition to the poultry team and the community much easier. Watching his continued growth as an employee has been one of the most rewarding parts of my job as the poultry production manager for White Oak Pastures. 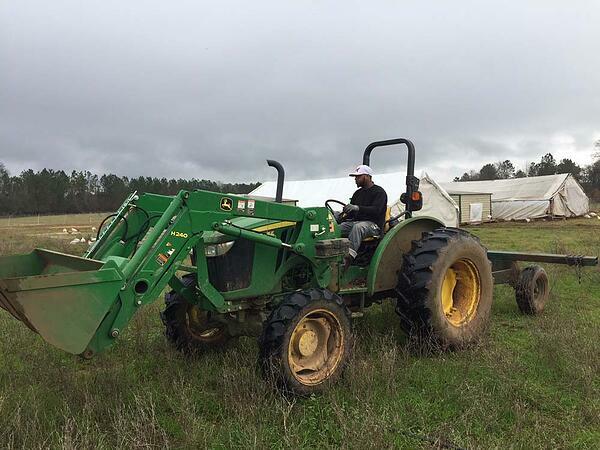 While Jamaal may not be the best cheerleader around, he is an attentive, active father, a hard worker, a helpful co-worker, a team player, and is eager to learn all aspects of the farm, and managerial skills as well. These fine qualities are why we here at White Oak Pastures are happy that he is a part of the farm family!